I had no illusions when I signed up with MoviePass. Paying $10 a month for the ability to see one movie a day in luxury seating theaters was just too good to be true. That didn't mean I wasn't going to take advantage of every moment of it. In fact, at $10 a month, I saw close to $800 worth of movies in a little over seven months. That is is probably small compared to what some users got out of it. There were a good many months where MoviePass was truly awesome. I think I saw Star Wars: The Last Jedi six times. I found myself going to films, falling asleep, and not caring because I'd just jump into another screening later in the week. I was able to go to luxury seating theaters. The app and my MoviePass credit card (which, lets face it, that's what it was) was five star. I knew this couldn't last (I gentle warned fellow users of this) and ultimately MoviePass started to show its cracks. It began with a process that I nicknamed, "Dreadful Friday". I called it that because that was the night that MoviePass sent me (and I am assuming others) their cryptic emails. They always began with MoviePass touting how great their service was and that it was unlike any other. From there, the email would usually explain that because the service was so good (and MoviePass wanted to keep it great for us - ie. Keep the whole thing solvent) that was why us lucky users were going to see it change. You see where this going? It began innocuously enough. Users couldn't see the same movie multiple times. Okay, that was fair. The easy fix was to work out the times, check in for one movie, then go and see the film you really wanted to see. However, as I knew from the start, everything I had experienced had all been an illusion. MoviePass couldn't last. I just didn't know how hilariously bad things would get. From there they rolled out peak pricing. This was basically MoviePass's silly attempt to stop hemorrhaging cash. Movies that a lot of people wanted to see would be sold to users for a few dollars more. So, you would still be paying $10 a month, however, you might pay more than a $6 surcharge to see a movie. The biggest way to avoid that would be to avoid peak pricing times. As a user this works if MoviePass is going to be upfront about when those times are. If a big movie has peak pricing times just because it's a big movie (meaning there's peak pricing at 10am on a Tuesday even though nobody is in the theater), the value of MoviePass suddenly starts to get called into question. Then when you realize that MoviePass had been charging users $10 a month, and then fronting the full cost of users movie tickets, you start to see how this whole experiment was doomed. 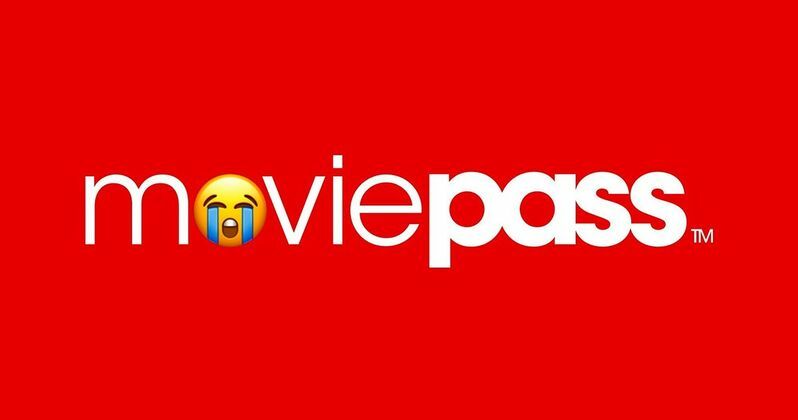 MoviePass's endgame had been one of divide and conquer. They hoped, at $10 a month, to build up such a big user base that they could hold sway over which movie theaters would get their coveted audience. MoviePass was, I believe, eyeing a piece of movie theater concessions. If they didn't get that then those theaters would be deprived of the ticket revenue that MoviePass was fronting. Basically, MoviePass was hoping to operate not unlike La Costa Nostra. Ultimately, it never got close to that. The theaters had the stronger hand... time. MoviePass was running at a deficit. Had it ever been a money making entity? That money certainly wasn't going to customer service. Anybody that had dealt with that side of MoviePass knew that it was next door to impossible to get a real person on the phone let alone to answer an email. (I have a friend who quit MoviePass months ago and they STILL get charged monthly!) That was ultimately a problem that the company apparently forgot or couldn't afford to care about. "How did it ever expect to remain in business buying everybody's tickets (especially with users like me) and only charging people $10 a month?" So MoviePass basically became crippled at this point. Users could only go to theaters where there's e-ticketing. Then, MoviePass overhauls everything. They come out with statistical mumbo-jumbo to explain why their $10 a month, one movie every day plan, has now gone to just 3 movies a month. Which is still a good deal IF YOU CAN ACTUALLY GO SEE THE MOVIES YOU WANT. Suddenly, going to the movies became Russian roulette. You'd pick a movie you'd want to see. Then you'd show up to the theater (because you needed to be 100 yards from it to check in), and suddenly, the movie that the MoviePass app told you was available a few minutes before, suddenly had no times or listings. You'd scramble to find some movie that worked, thankful that you were at least getting to see something being projected onto a screen somewhere. Then MoviePass got even worse. They tried to package their offering with a subscription to I HEART RADIO, wines, and other things that just made everything they were doing look like a mad dash to the bottom. Probably my most embarrassing moment as a MoviePass customer was based on a post CEO Mitch Lowe did around the time that everything was falling apart. They'd just instituted the 3 movies a month plan and he posted a really ridiculous, out of touch meme, with a cat or something, dancing and juggling all these different things. The point he was making was that amidst all this chaos, he was still going to pull the dream of MoviePass off. And, to his credit, he did for a little bit. Sadly, I no longer wanted any part of this service and I joined up with AMC's A-List. I think a bunch of MoviePass users did the same thing. And...It's been awesome. Yes, I am limited to AMCs theaters. However, they're very nice theaters so there's no issue there. Yes, they don't always offer all the movies I want to see. I have to get creative and go to theaters I don't love to see certain movies in. Again, not a big deal. The AMC app works perfectly. The experience to order and cancel movies is painless. And at $20 a month I can see 3 movies a week. This is a very good deal and I would actually pay (though I wouldn't love it) double that amount for AMC's A-List service. And make no mistake, do I think that AMC will eventually modify their offering in some way? Sure they will, but I doubt it will be the fiasco that MoviePass was/is. Recently, I wanted to see what was happening with MoviePass. All I heard were stories of people giving it up because it literally stopped working. They couldn't go see ANY movies. MoviePass, using the same wisdom that they probably used to pay for all of our tickets for a $10 a month surcharge, probably figured that users had gotten a lot out of the service and wouldn't mind now getting nothing. Or, they didn't see a problem that MoviePass wasn't working. It was merely business as usually in MoviePass's world of being able to keep every ball in the air. So what did I find during a recent visit to the MoviePass site? The deal with MoviePass is still essentially the same as when I left. Users can see three movies a month but they appear to pay more for the privilege. People get to "choose from a curated selection of movies and showtimes," as well. AMC makes you agree to a 3 month commitment at $19.99/month. MoviePass now charges $43.95 for a three month commitment. So, for about $16 dollars more AMC lets you see 36 movies a month while MoviePass only lets you see 9. I know that there are going to be people that say I was spoiled. That say my usage of MoviePass ruined things for the statistical 3 times a month user that MoviePass claimed was their bread and butter. There's a lot of reasons for why MoviePass is now MovieQuagmire. I will simply say that MoviePass, for the bulk of the time that I used it, was AWESOME. It worked well and I saw a lot of movies. I always knew it was going to change. As a devoted user I didn't see it becoming what it became, but I do agree that it has changed the movie going landscape forever. MoviePass has shown that people will pay for subscriptions to see movies. They have also shown that users are malleable to change when that change is implemented appropriately. This is something it seems AMC's A-List program has learned from as well. I will always have a soft spot in my heart for MoviePass. I am also excited to see how movie subscriptions evolve. With movie theaters bringing in over $41 billion at the global box office (albeit a lot of that from overseas money), movie theaters are not going anywhere. They too are changing and evolving. Perhaps MoviePass hangs in there, tweaks a few things, and evolves in such a way that they get back the 60% of users they lost last year? It's a long shot but remember when Blockbuster was going to obliterate Netflix? MoviePass CEO Mitch Lowe worked at Netflix, too, remember. MoviePass never laughed itself all the way to the bank. I, and many others, laughed all the way to the movie theater. Many times. If for nothing else, MoviePass is owed a debt of gratitude for that!